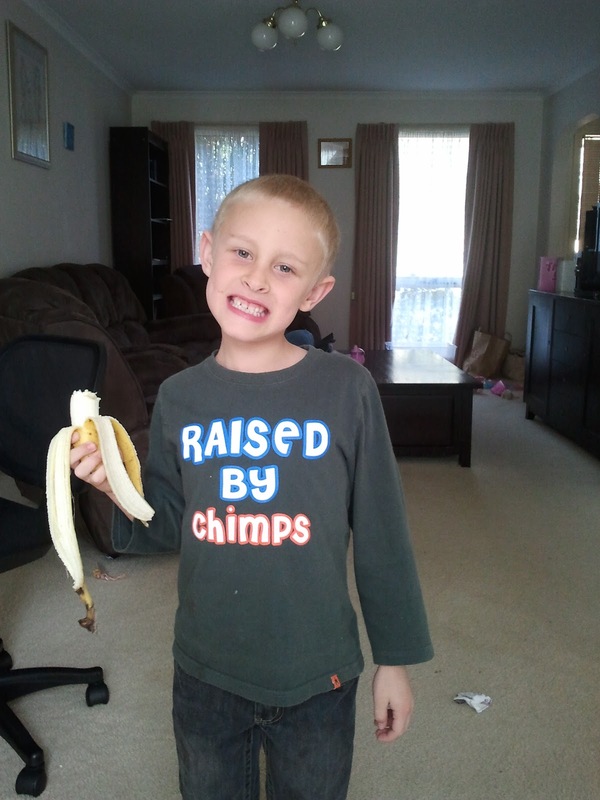 Finding My Star: Raised By Chimps! Boywonder has a shirt that says 'Raised by chimps'. Mr T and I have never agreed on the meaning of Boywonder’s shirt. Mr T says that it implies he and I are chimps, but I say that it implies Boywonder was raised by chimps instead of by us. Regardless of what it truly means, we both found it hilarious when Boywonder met Mr T at the front door with his morning tea in his hand!